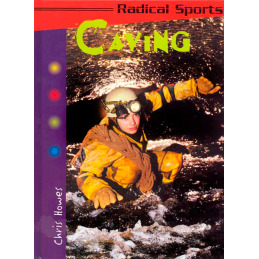 Caving is part of the Radical Sports series of books published by Heinemann for children from ten to early teens. 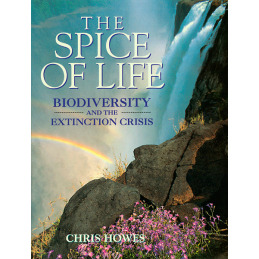 This hardback book by Chris Howes is an ideal introduction to the sport. 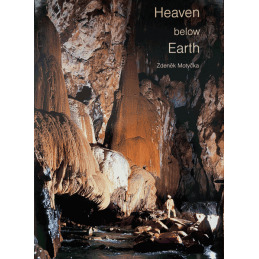 The contents include information on preparing for a trip, what to expect, clothing and equipment, parts of a cave, reading a survey, international exploration and where to find further information. What is a karabiner used for? What is a boulder choke? The Radical Sports series is an introduction to the world's most adventurous and radical sports. Each book provides the beginner with all the essential information needed to do the sport competently and safely, as well as looking at the prestigious competitions and their stars. Don't be left behind – go for it! 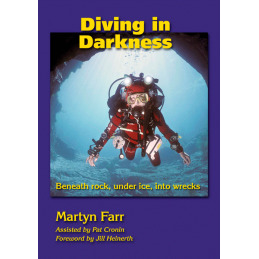 In 2003 a softback edition of Caving was published in the UK: ISBN 0-431-03697-7. A hardback edition with a 'library binding' (a stippled finish to the cover) was published in the USA in 2003 with changes in text to reflect the different approach to the sport on that continent: ISBN 1-588-10626-8. Also in 2003 a Swedish language edition was published by Bonniers under the title Grottkrypning, with all reference to the author and photo credits removed from the cover and contents. 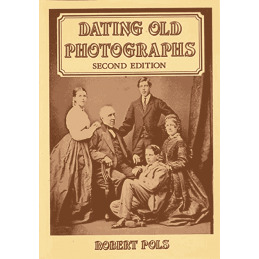 Relatively few of these editions are presumed to exist, as the publication breached contracts and most of the print run was subsequently pulped. 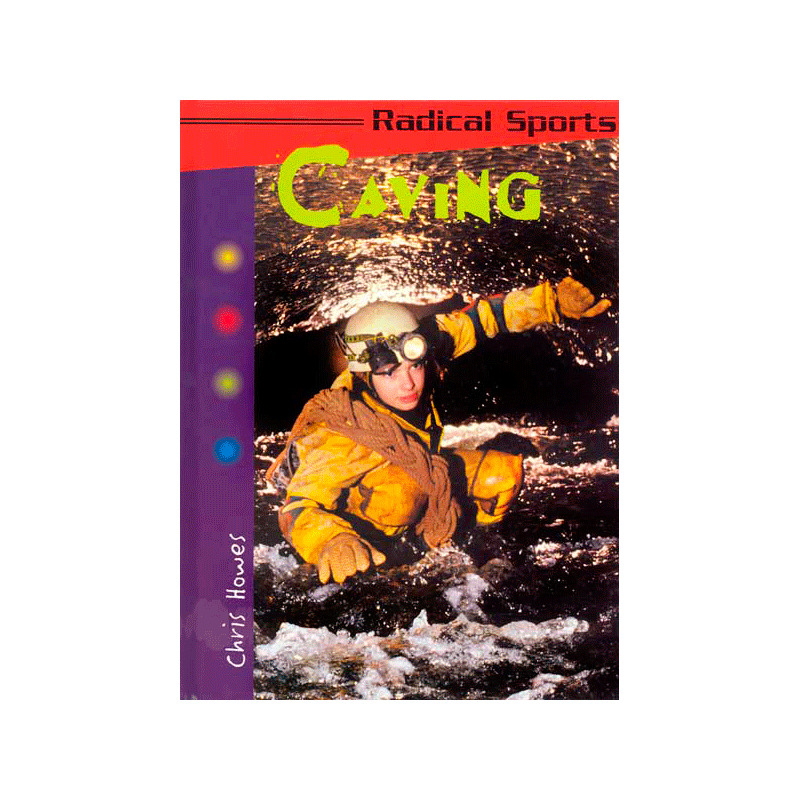 CAVING is part of the Radical Sports series of titles and is intended as an introduction to caving for children aged ten to early teens. However, I feel that it would probably appeal most to the lower end of that range and, in fact, it holds plenty of interest for younger children – my son and daughter, both aged eight, thoroughly enjoyed it. I found the book visually appealing; it is colourful, with good quality paper and a robust binding. As you might expect in a children’s book, the typeface is clear and reasonably large. Similarly, the language is simple and straightforward, though manages to avoid being patronising. The layout is good and has plenty of variety. 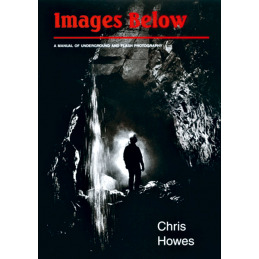 There are photos throughout the book, illustrating equipment and showing cavers in many different situations: all the photos are relevant to the text and have clear captions. Additional information, such as safety tips, is given in well-placed boxes; my children liked the bat symbols used as bullet points. Each double-page spread features a new topic, holding the reader’s interest and making the text easy to follow. It reads well, either approached in a conventional cover­-to-cover manner or by dipping in for information on a particular topic. The overall effect is modern but not gimmicky, a refreshing change from many books written for this age group. 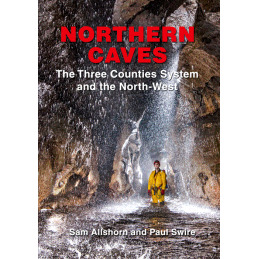 The book concerns caving as a sport, rather than being simply about caves, though various specific locations are mentioned. 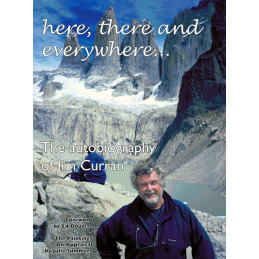 Subjects covered include a little history, advice on how to get started, clothing and equipment required, skills and techniques, underground features, route-finding and international exploration. 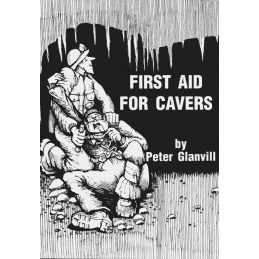 The text emphasises the fun and excitement of caving – while never forgetting safety, which is mentioned under several headings. The conservation message also comes across strongly. There is an explanation of how caving can have many aims and can therefore be carried out in different ways. My children’s favourite part of the book is a cave map in the section entitled Finding Your Way, which really caught their imagination. 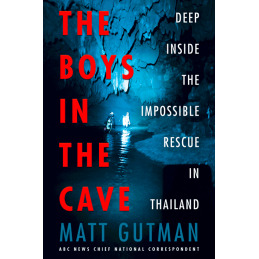 They were also intrigued (predictably) by the pages that describe the discovery of new caves. All the main caving terms are highlighted in the text and defined in a glossary, thus avoiding the need for constant explanations which would disrupt the narrative. 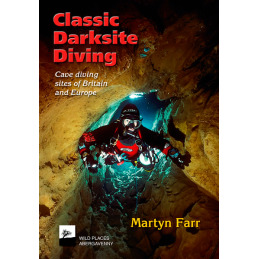 Other useful information includes addresses of caving organisations, ideas for further reading (and major websites to consult) and an index. The more I looked at Caving, the more impressed I became with the way in which it gets its message across, educating while entertaining. The book achieves its aim of giving children a thorough introduction to the sport and is likely to leave them wanting to experience it for themselves. 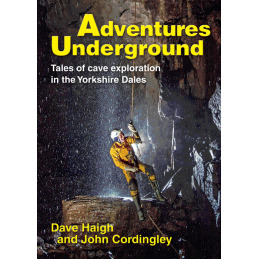 Caving would make a good present for children of non-caving friends or relatives, as it answers many of the most frequently asked questions and explains the appeal as well as the methods of caving. Note that this is the UK edition, using British spelling and terminology; a different edition was published for the North American market (ISBN 1-588-10626-8). 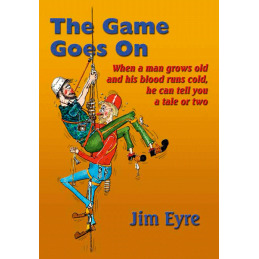 Jim Eyre's classic autobiography, part two, taking him from the caving expeditions of the 1960s through trials and tribulations to India in the 2000s. In it, Jim produced another masterpiece by turn both solomn and outrageously funny. 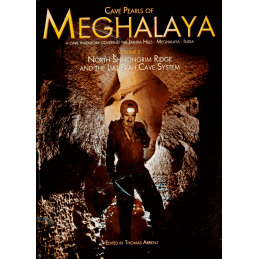 Cave Pearls of Meghalaya Vol. 2. Jim Eyre was a legend in his own lifetime – a hard caver and ardent cave rescuer, but also a talented cartoonist and outrageous raconteur. His two-part autobiography comprising It's Only a Game and The Game Goes On is now available as a set with a considerable reduction in price. 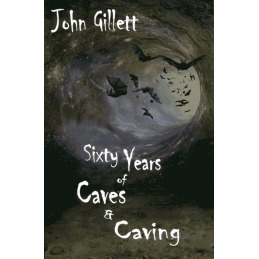 John Gillett has been places, done things ... and in Sixty Years of Caves and Caving has added chapters to his older Of Caves and Caving book to produce this new edition. And it's at a lower price, as well!